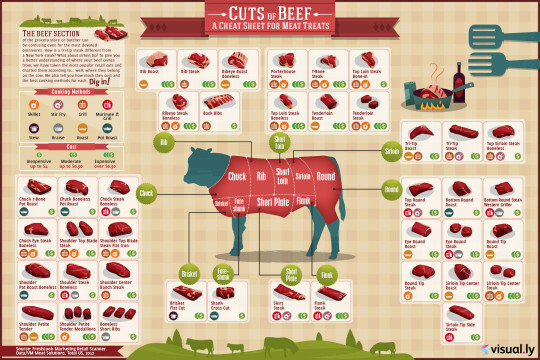 The weekly e-Learning Heroes challenge #12 Transform Infographics into Interactive Graphics and the static Infographic below were the inspirations for creating an interactive graphic on the topic “Cuts of Beef”. I wanted the cow to have a bit more personality than the one in the static infographic above, so I chose this picture on the left. I really liked the effect of the cow being outdoors in a real paddock in the picture on the right, so I incorporated this into my final design. This demo is no longer available.